Sometimes I have to look at the fans because I think they have stopped its so quiet. Oh and it cools! Also if you want layout options this has a ton. from completed build The Ultimate PC - For myself of course. Awesome case, love the Silent Wings 3 it comes with. Would have liked for it to have a PSU shroud, or something else to cover the cables from the power supply. 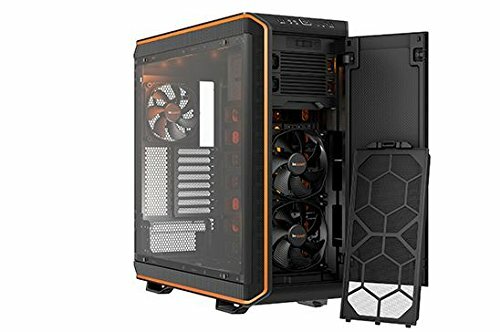 This case was definitely overkill but I fell in love with the look and after reading some reviews it was clear that this was the case for me. 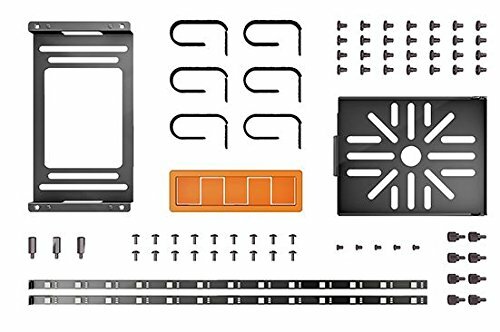 Parts of it definitely feel old school (which is what I'm used to) with screws for everything instead of the quick release brackets on some new cases for hard drives and such. This case is really quiet. I loaded it up with 4 mechanical 3.5" drives, a 2.5" SSD and put my old Blu-Ray drive in the top 5.25" bay (but didn't actually hook it up). and there's still plenty of room for everything to breathe. I added 2 fans (bottom front in, top back out) but even with the stock 3 fans it is really cool in there. I just figured I should add them now while I'm elbow deep in this thing. The only "noise" I can hear from the case is when one of the mechanical drives is working hard. I put "noise" in quotes because it is still barely audible. I have to try to hear it to even notice it. The fan controls and lights are nice to have. A few times I've cranked the fans before doing some heavy gaming but I don't think it was necessary. Also, as you can see in the photos, even though the motherboard tray is removable, I built it right in the case with no issues. Arrived in a huge box with a nice fabric cover protecting the whole thing. Not worth a star removal, but one nitpick is the HDD activity LED is BRIGHT. I put a tiny piece of gaffers tape on it for now but will think of a more elegant solution. I usually leave it on overnight to let Carbonite do its thing, and it looks like a little orange spotlight on my ceiling. I won't bore you with details about this case as they are available online. Advantages are: Build quality and flexibility and overall look, some say it's boxy however I like to put stuff on top of my case and boxy is just fine with me. The orange color is just a touch in all the right places, not overpowering but making things look just right. Disadvantages: 1. The power supply holder is strange, the case comes with bracket and exhaust for power supply is located inside the case, there is about 3" travel time for the hot air to escape. Also power supply will block the location of the bottom middle fan. I ordered 5 extra fans and was only able to use 3 on top as specified by case capabilities but only one on the bottom instead the 2 as specified. So I have extra fan not worth returning due to shipping cost. 2. If you go with Asus Mother board as I did, the fan control on the back of the case is not fully compatible with ASUS. You can control fan speed somewhat from Bios, you can set the mode that the fans will run however you don't have fine control. Also the fan speed in bios is not displayed when fans are connected through the case interface to the motherboard. 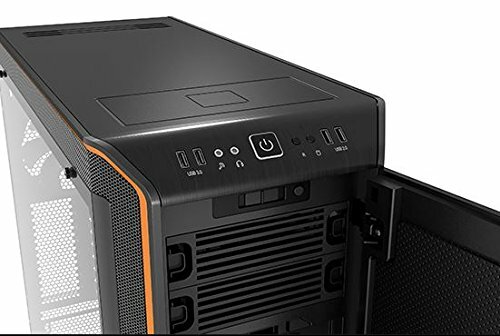 I connected all fans directly to the motherboard so everything works fine but the case interface for fans is useless for me, the button on the front of the case is also useless as nothing is connected to the interface but seriously who manually controls the fans with a switch located inside the case cover. 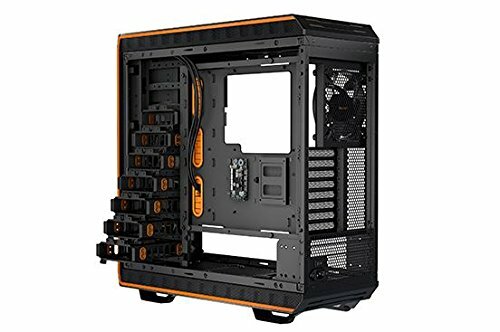 Other than that it is a great case, plenty of room for everything, I disconnected extra drive bays for better air flow. I spent a lot of time reviewing cases and ultimately picked this one!! 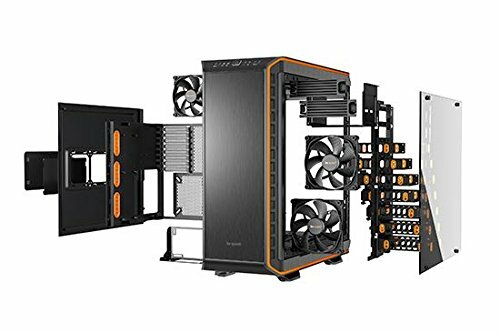 It has the size I wanted for future upgrades/expansions, the tempered glass side panel for seeing all my RGB colors, a ton of modularity to move things around, and it's really quiet!! Honestly if my GPU fan was a little quieter I wouldn't even know this thing was on. It has dust filters where I want them, and the wireless charger is a really neat feature. Now I just need to get a phone with wireless charging. Perhaps when the iPhone 8 comes out. I fell in love with this case from a purely visual standpoint. But being able to customize it allowed me to fit both Radiators inside in a way most other cases do not allow. Gorgeouss, quiet, the charger station works; but too small. There is almost no space on the inside of the side panel for wiring, the directional placement required make it cluttered on the backside and the cables have to bend really hard to fit. But for how modular it was and how it let me customize the spacing between my modular PSU and all the internals I run it was a glorious case. I just wish the price wasn't so high. I LOVE IT AND HATE IT!!! 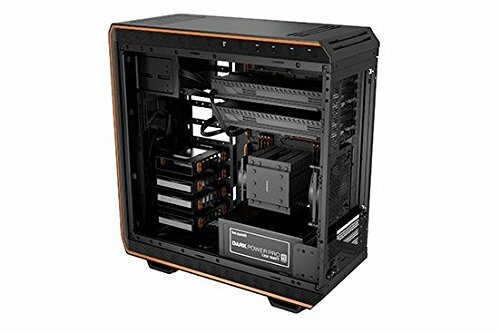 Other details: 1) PSU slot in the case is weird. I thought it was going to be cool from the way it looked but it turned out to be a b**** to install. 2) There's not enough room for proper cable management on the right side (Non-Window) side of the case. You have to really know your stuff in cable management to get the case door to slide back into position like a glove. So if your a messy/casual builder that hasnt done cable management before...you're in for a learning lesson. 3) I thought it was going to be slightly larger. This is definitely a full tower, and i was hoping for something that was flirting between the lines of a full & super tower. 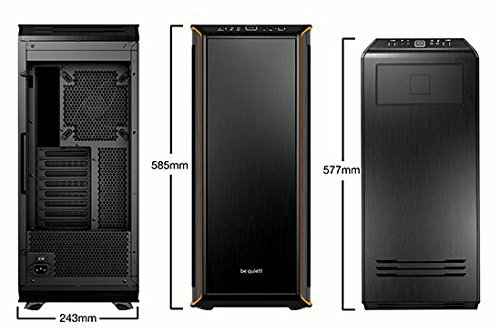 If you want a case thats between big and "HUGE!" this is not it. 7) barely enough room between the AIO cooler and motherboard. Too close for comfort in my opinion. you might want to put some adhesive tape if you want it to stay shut if you're like me and rarely open your front panel door. 10) USB ports are SUPER TIGHT! I mean really..i put in some muscle to slide my USB devices into the ports. Anyone else having any issues? 11) Nice feet on the case. Very balanced, no wobbling. 12) Easy to clean with a solid piece mesh on the bottom of the case.